UU A Way Of Life: If you don't know where you're going any road will take you there. If you don't know where you're going any road will take you there. The third principle of Unitarian Universalism, "acceptance of one another and encouragement to spiritual growth in our congregations," when looked at deeply, has several interesting aspects. First, why does the principle stop with "our congregations" and not extend outward to the community and world? Unitarian Universalism is known for its inclusivity not its exclusivity and yet in this principle it explicitly makes an exclusive statement that acceptance and encouragement to spiritual growth is affirmed and promoted in "our congregations" and not throughout the community the congregation is ensconced in nor the world. Unitarian Universalists eschew evangelisation and proselytization, but it seems odd that UUs would not want to share their faith beyond their congregations. Perhaps this limit in vision in this third principle is why the denomination has remained very small and, in fact, is shrinking. Second, "acceptance" and "encouragement to spiritual growth" have little meaning without a frame of reference, a model, some map, a context for what this might entail. This question of what is spiritual growth is not answered easily and depends on the practice of the fourth principle which is the free and responsible search for truth and meaning. Without some sense of "the truth" and some answer to the question of "what gives life meaning" we are lost when we try to answer the question of what "acceptance" might mean, and "encouragement to spiritual growth" might entail. The Dali Lama has said that the meaning of life is happiness. The next question, "what will make me happy" is the humdinger, where the rubber hits the road. The devil is in the details as they say. Will tailgating and getting loaded before the football game make me happy. "Hell, yes." Hedonism many people believe makes them happy. I'm not sure that UUs would agree, certainly not all UUs. So what would Unitarian Universalism offer as an alternative to Hedonism as a pathway to achieve a happy life? Unitarian Universalism obviously has not come up with anything popularly recognized because there are hundreds of thousands of more people tailgating on any given Sunday at football games than ever attend a UU congregational activity. Third, human beings are meaning making creatures and while Unitarian Universalism claims to draw from six primary sources, it does not do well in integrating the perennial wisdom of these six sources and so the nuggets of wisdom, gold, the diamonds of crystallized grace, get overlooked in the mud and slurry of nonessential nonsense in which these nuggets of wisdom are embedded. The function of the new religion of the 21st century should be to help us ferret these nuggets of wisdom out of the mines of these six sources, and yet this work is failing to get done and so people even if attracted to Unitarian Universalism wander on because while the acceptance may be there on the congregations part, it is not there on the seekers part because the encouragement to spiritual growth is not found only psychobabble and mediocre fellowship offered over coffee and scones. Acceptance is a two way street, and while congregations desperate for new members who can help pay the bills will accept just about anybody no questions asked, just sign the book, the seeker finds nothing of substance, nothing challenging enough, coherent enough, to make a disciplined commitment to which will facilitate the growth sought. And so UU congregations continue to be very small and losing members because they offer nothing coherent, substantive, meaningful to the growing population of "nones" in our society who state that they are "spiritual" but not "religious." Fourth, in conclusion, Unitarian Universalism needs to develop more clarity about this "spiritual growth" thing. Do they even know what they are talking about or is this just psychobabble? Perhaps we will get a better idea when we move on to the next principle which is the free and responsible search for truth and meaning. The huge danger which Unitarian Universalism has not addressed well is the old proverb that if you don't know where you are going any road will take you there. The article here just get better and better. I don't know where else in the UU world you can read this kind of caring criticism which succinctly gets right to the meat of things. I have thought the ideas expressed here for several years and never had the words or the courage to express them and yet there they are. You nailed it. I have wondered if UUs ever really take their faith seriously or if they are just along for an easy ride. I have come to believe it is the later. Finally, to find someone who takes the faith seriously and is willing to challenge us fellow travelers is refreshing. I agree with you Aaron. The notion that anything goes in congregations and in the denomination, the UUA, is not working if you look at the numbers and influence of UU in improving the quality of life in our society. It's too bad because it seems that UU has a lot of offer. Perhaps the organizational structure needs to be considered and improved. Too many people wander away because of what they see as a lack of leadership by which I mean direction, vision, programming towards results. Religion has become a commodity in the marketplace of education, entertainment, personal growth, and community organization, and it does its job poorly in all these areas because their are other organizations in our society which meet these needs much more satisfyingly. 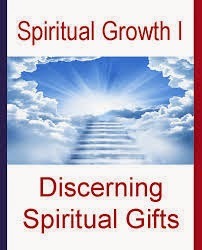 The one thing religious organizations claim to be able to do - facilitate the interior spiritual growth of its customers - UU does not do well at because it hasn't provided a well designed, effective, efficient, satisfying product. It, some would say wisely, leaves people to their own devices in their private search for truth and meaning. So if this is the case, why would anyone need the church? I'm tired of you bashing UUs for not believing in anything or knowing what they're doing. It may be true, but so what. They like their coffee and donuts and thinking they're better than everyone else and that they know everything and if you don't believe it just any one of them. You should just, like thousands of others just move on and leave them to their selfish selves. Okay? I'm not sure why you bothered to leave your comment. Are you a UU yourself? I couldn't quite tell if you were being ironic or if you are serious? I don't find the articles here objectionable in any way. I think important points are raised not always complimentary, but things that Unitarianism needs to address if it is flourish in coming decades.